In September our 2018 tour went out with a BANG in Barking! 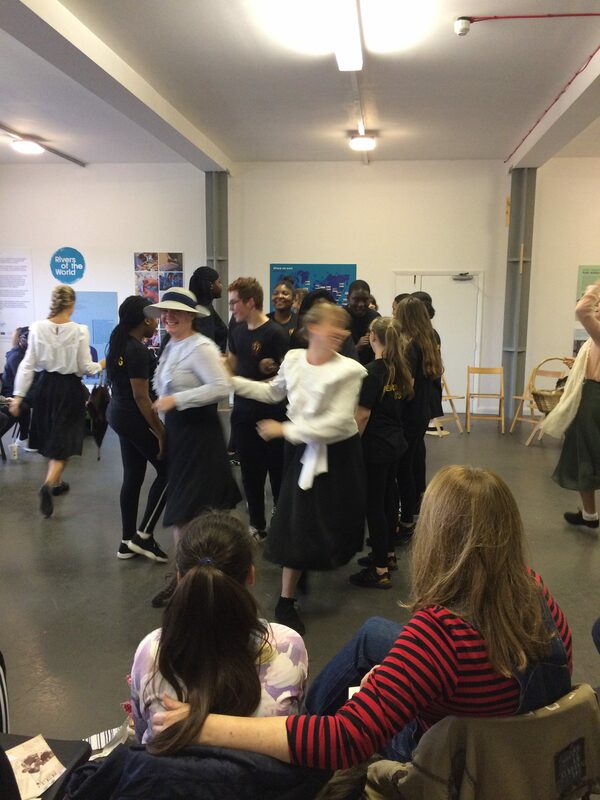 The final performances of our 2018 tour took place at Boathouse Creative Studios in Barking and featured outstanding students from All Saints Catholic School in Dagenham. The performances were part of Totally Thames Festival, an annual festival celebrating all things River Thames! The Great Thames Disaster featured as part of the Rivers Of The World exhibition taking place at Boathouse Creative Studios in Barking. As part of the project, Totally Thames Festival linked DFDC up with the amazing Performing Arts team at All Saints Catholic School in Dagenham. Dani Kelly and the rest of the teachers were incredibly supportive of the project and actively encouraged their students to get involved. In the week leading up to the final performances, Daisy went into All Saints School for two days to work with a group of Yr9 GCSE Performing Arts students. The group were outstanding! From the very start they were confident and enthusiastic, taking on each creative challenge with flare. Their characterisation was fantastic and they were confident speaking on stage. All of the students really rose to the challenge of using physical theatre as a way of expressing a narrative. I could see each individual challenge themselves to try something new and the result was a dynamic and exciting opening to the show. When it came to the performances, the students showed true professionalism and focus when performing alongside the professional dancers- they are definitely the next generation of performers! It was a pleasure to finished the tour on such a high with a truly inspirational group of young performers. Finishing the tour in Barking felt significant and important. The community of Barking played a big role in The Princess Alice disaster. The paddle steamer went down not far from the mouth of Barking Creek. Many survivors of the disaster were taken on small boats to Barking; they were welcomed into people’s homes, local pubs and shops, where they were offered warm clothes, food and shelter. Many people had lost families or become separated from their loved ones and the people of Barking looked after them in their time of need. We finish the tour with a huge sense of pride in what we have achieved over the last few months. 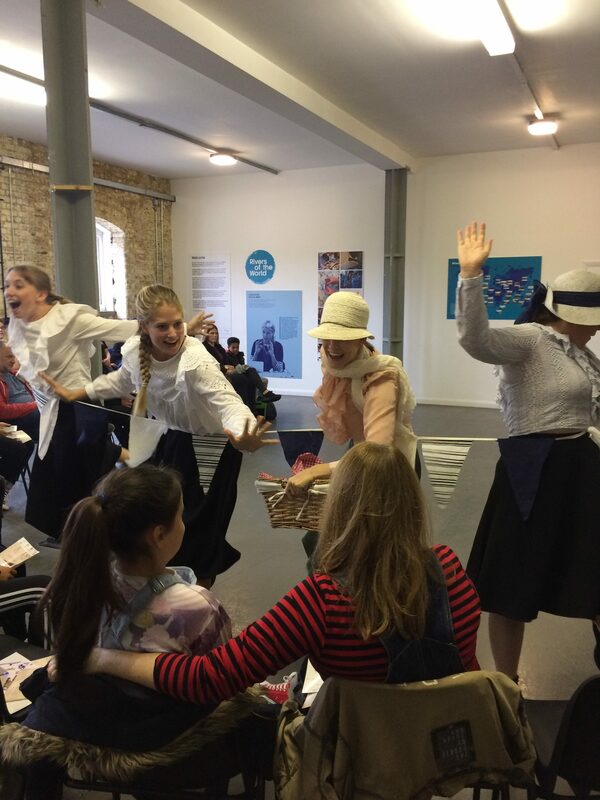 After months of planning and fundraising, the project moved from strength to strength and touched the hearts and minds of audiences and participants from the Isle of Sheppey to Barking. We will now be taking some time to reflect upon the impact this project has had on us and those we have worked with. Keep your eyes peeled for many more pictures, videos and feedback from the tour. In the meantime, thank you to everyone who has supported and worked with DFDC over the last few months- thanks to you, The Great Thames Disaster will leave a lasting legacy.